My training through Hallelujah Acres years ago gave me the answer I needed. Like so many things we do regularly, it’s more efficient to do the majority of the work once upfront, then enjoy the benefits easily for a while after. For example, instead of taking all vitamins and supplements out of their individual containers each day, prepare 30 packets once a month. Then each morning, simply open the packet. A few moments of preparation each month makes daily action easy—and keeps you from avoiding. Same principle for the salad box. Once a week, prepare all your favorite salad toppings in smaller containers. Put them all into one plastic bin with a lid that fits your refrigerator. When you want a salad, pull the salad box from the frig and top your bed of greens with whatever you want. You can customize it with whatever you like. A few moments over the weekend and you can quickly prepare a week’s worth of salad toppings for quick, easy salads. If you don’t finish all the vegetables before they start going bad, throw them in a freezer bag and freeze them. Use them later in soups or other cooked dishes. Basically, you just need two components for your salad box. A plastic box with lid. These can be found in any home organization section of stores such as Walmart or Target. Sterlite has great options. The key is to determine the dimensions of space available in your refrigerator. For example, ours is 11″ x 14″ x 6″. It needs to be big enough to contain smaller containers for all the toppings you want to have available. Smaller containers. 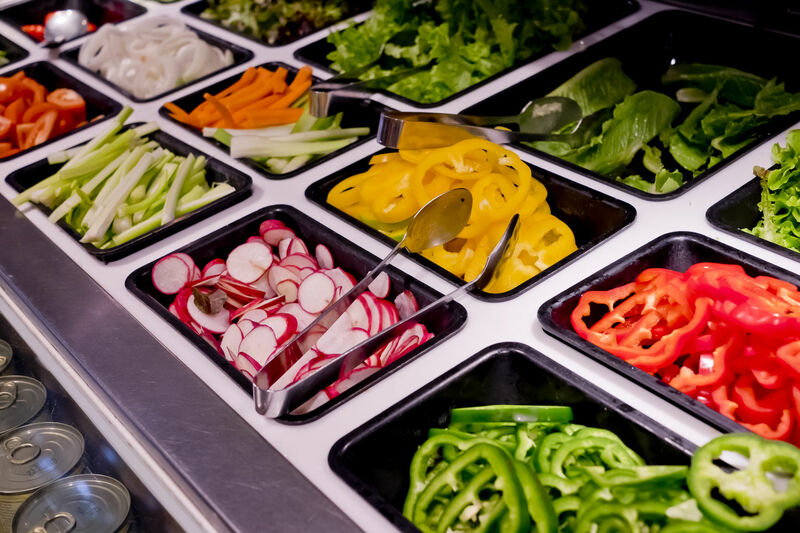 These store the individual salad vegetables and other toppings. I like the Arrow Plastic 1.5 Pint Freezer Containers. They fit great in most salad boxes. You won’t have to use the individual lids because you’ll have a lid on the entire salad box. This revolutionized our salad preparation. We eat more and spend less time in actual meal prep. A bonus is that I tap the salad box for more than just salads. We use it to fill pita pockets, add to burritos, etc. I encourage you to give it a try and let me know how you like it. And check out all products and educational resources at Hallelujah Diet! If you create a new customer account, please include my Health Minister Referral Code, GZD, where asked. This will connect you with me for better service. Question: What is your favorite tip for making healthier eating simple and convenient? Share your answer in the comments below.